The Dexter S185 Sani-Safe® produce knife has a 5-inch stainless steel blade, making it durable for commercial applications. The perfect amount of flexibility is provided by the precisely ground edge. An easy-to-clean, textured polypropylene handle is slip resistant for a safe, secure grip. 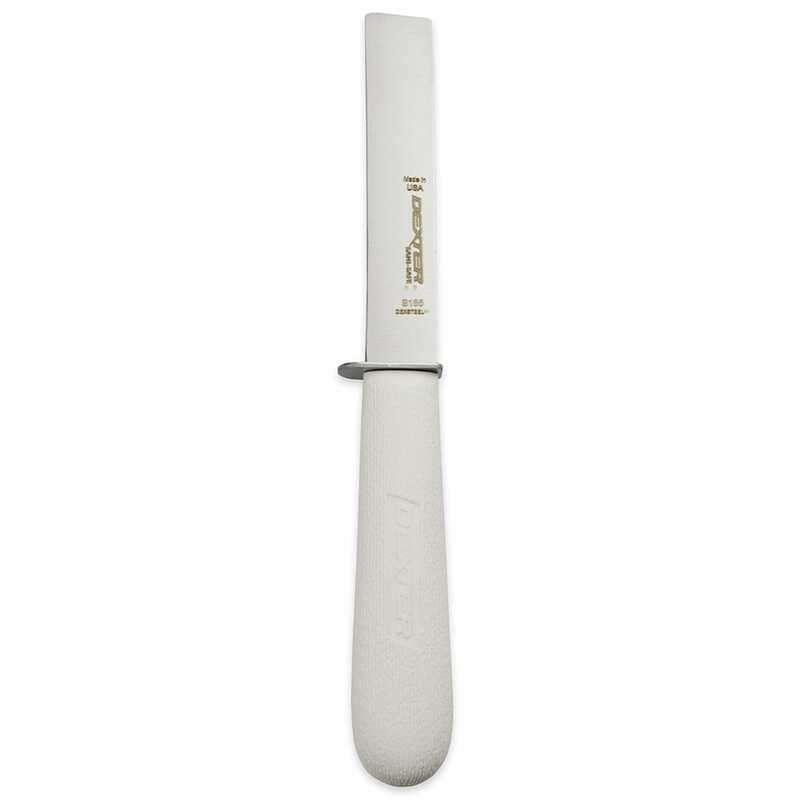 To protect the user’s fingers, there is a metal guard between the handle and blade. A blade-to-handle seal eliminates a crevice that can capture food particles, which can prevent the growth of harmful bacteria. 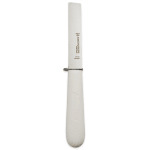 The Dexter S185 Sani-Safe produce knife's handle comes in white, allowing it to fit into virtually any décor. "I work at a supermarket and I have to say this knife is the best. It's very sharp and that stays sharp for a long time. Great for trimming corn." "Had one before , wife wanted another . Ordered 3 . Great company ." "I ordered 2 of the produce knifes for the guys in produce ... let's just say they love them and asked me to order more .. thank you"
Great product , very fast delivery .